It took a minute, but director Dario Argento has finally weighed in on Luca Guadagnino’s moody, beautiful remake of his horror masterpiece Suspiria. Don’t tell any immortal, unknowable, extremely lethal ancient witches, though, but the notices weren’t especially good. The 78-year-old Argento—who last professionally squandered his talents on 2013's regrettable Dracula 3D—was asked about Guadagnino’s film during an appearance on an Italian radio show this week, and (per Indie For Bunnies, plus an assist from Google Translate) seems to have given it a withering pan. 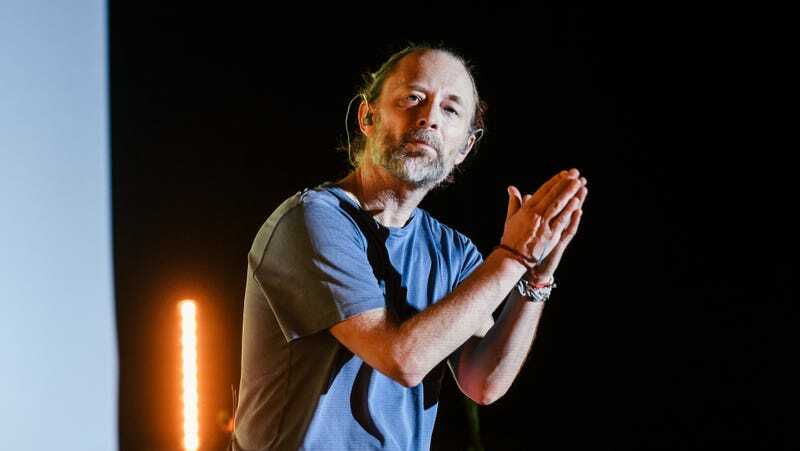 Argento previously expressed his skepticism for the project back before production even started, and has now accused the movie of containing “little fear,” and, in what must have felt like a weirdly unnecessary swipe to poor composer Thom Yorke, “No music,” as well. One can only hope that newly minted soundtracker Yorke will just kind of roll with this particular punch; he’s previously expressed a lot of pride in the soundtrack, which is the first major scoring project that he’s ever, well, scored. Yorke is currently planning to release an extended edition of the album, and is reportedly quite pleased that his title track is apparently on the short list of potential Oscar nominations for Best Song at this year’s Academy Awards.